No meat? No problem! 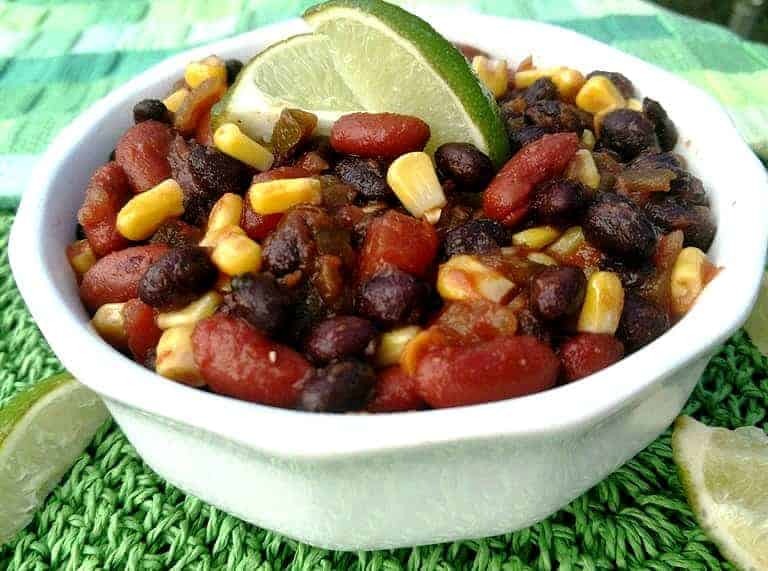 This vegan Yes-You-Can Black Bean Chili recipe has all the taste of a hearty chili and can be ready to eat in 15-minutes or less. The convenience of a three-ingredient dish without any greasy pans to clean. 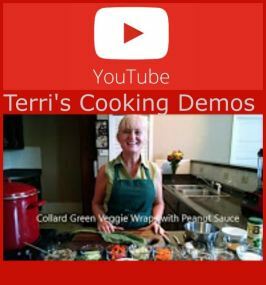 We make this easy chili bean recipe in the Food for Life nutrition education and cooking classes I teach for Physicians Committee for Responsible Medicine, and it always impresses participants. It’s served with lime wedges and fresh cilantro, and students can’t believe how delicious it tastes! The great thing about Food for Life nutrition education and cooking sessions is that each class includes a cooking demo of three or four new recipes. 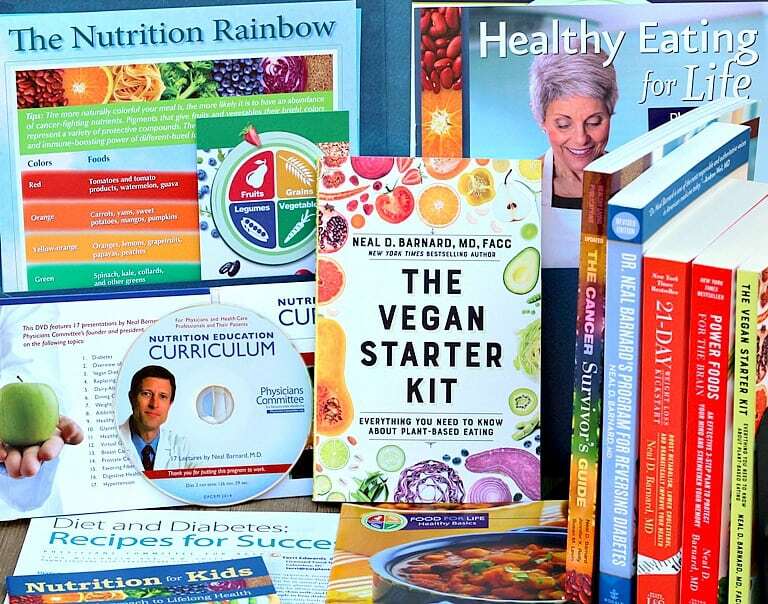 Participants get to see how easy healthy plant-based recipes can be to prepare, and they get to taste them before heading out to the grocery store buy the ingredients for themselves. That way, when they prepare the food at home for their family, they can be confident that it will go over well. Recently, my sister helped with a class I was teaching at a cancer center in South Carolina and, after she tried this chili, she told me it needed to be included on my website. 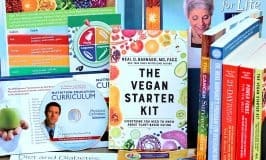 She said that it should be available for everyone–those people just beginning a plant-based lifestyle who want to try easy recipes, and the veteran whole food plant-based folks that want fast uncomplicated meals. My sister is usually right! So, enjoy this quick and tasty one-pot dish to help simplify your life and meal planning. 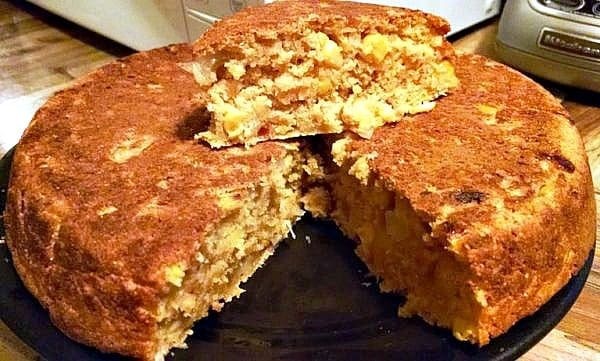 We love to eat this with my Country Cornbread. 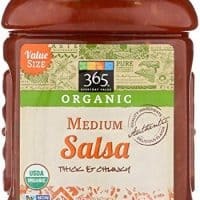 If you want to make your own salsa for this dish, here’s a great Easy Salsa recipe. This cornbread is a terrific accompaniment for this chili recipe. 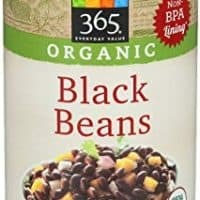 A 1/2-cup serving of cooked black beans, which is 86 grams, contains 113 calories. 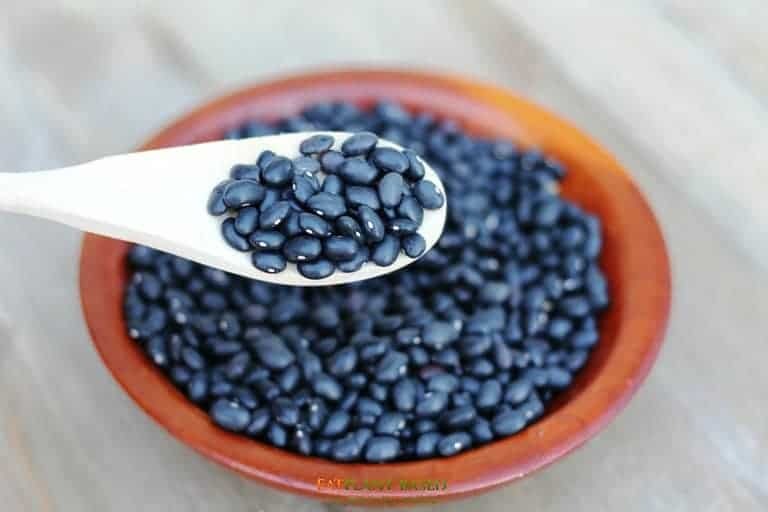 With 1.3 calories per gram, black beans are a low-energy-dense food, which means calorie content is low compared to weight. Beans are loaded with fiber with 7 grams per 1/2 cup serving. No meat? No problem! This vegan black bean chili recipe has all the taste of a hearty chili and can be ready to eat in 15-minutes or less. The convenience of a three-ingredient dish without any greasy pans to clean. 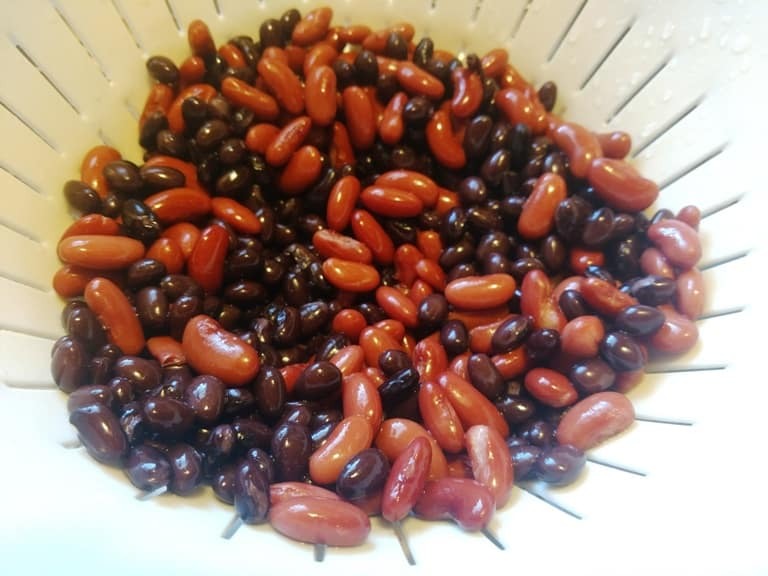 If using canned beans, drain and rinse. I mix it up sometimes and add other bean varieties. In this picture, I used black beans and red kidney beans. Next, defrost the frozen corn by placing in a colander and running warm water over it. 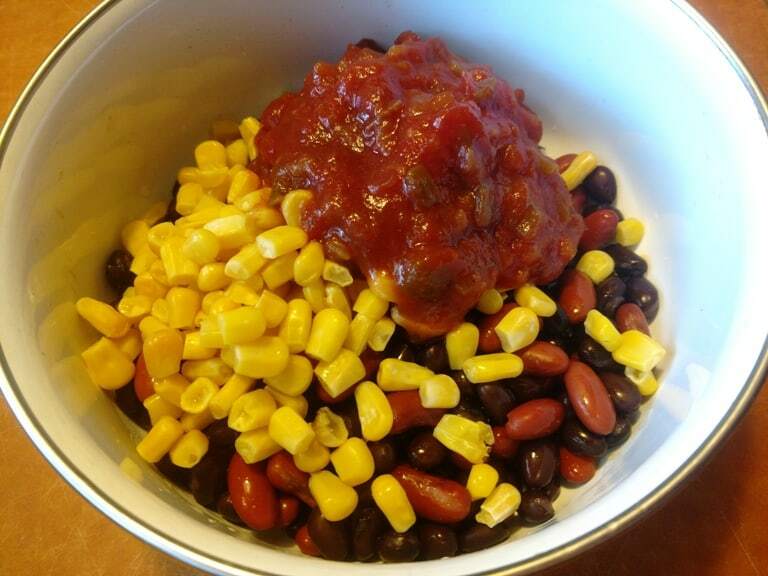 Combine beans, corn, and salsa in a pot and cook over medium heat for 5 minutes to heat thoroughly. If you like it with a little more liquid, add veggie broth. I never add broth unless serving with cornbread (link to cornbread recipe below). That's because I like to crumble the cornbread and let it soak up the seasoned juices. Top with cilantro and fresh lime juice. Serve warm and enjoy! To make this in a crock pot, simply add all ingredients to a large cooker after draining and rinsing canned beans. No need to run corn under warm water, because they will defrost in slow cooker. Allow to cook on low for 1 hour. Dinner ready in 15 minutes flat! I make a chili that is similar but call it my Dump Chili. Certainly has saved me and is delicious. Looks amazing! How many cans of beans would you use? The 3 cups of beans would equal (2) 15 oz cans of beans. Enjoy! Super simple and delicious! I love it with a sweet potato. 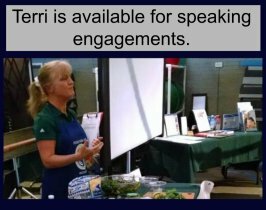 Hi Terri, I made this for the first time just a few days ago. I used 365 spicy black beans which I did not drain to retain the flavor, and a can of 365 dark red kidney beans (drained and rinsed). Also, about 1/3 jar of 365 medium salsa and a half can of Italian seasoned diced tomatoes. And the corn. I simmered for about 10 minutes to give it a chance to thicken and it was yummy! I had it plain for dinner that first night. But for the next 3 days, I had it for a hearty lunch over a microwaved “baked” potato. So delicious! That sounds delicious! I love this recipe for the simplicity and flavor. So glad you like it too!